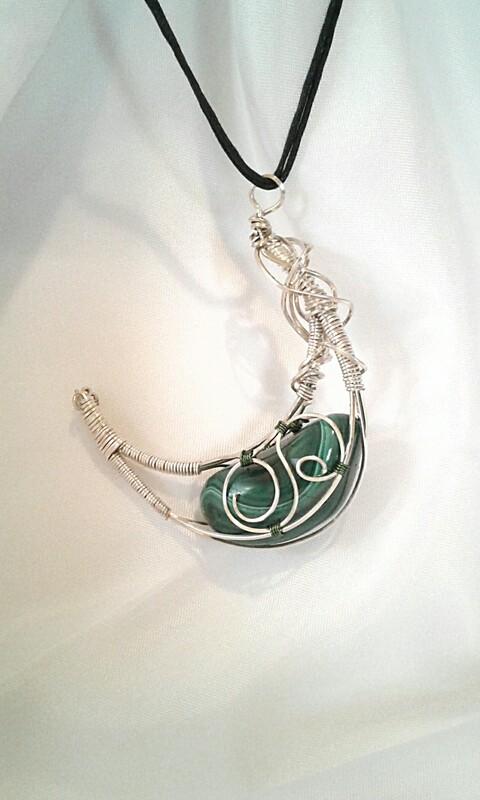 While Malachite is believed to bring good luck and fortune to anyone traveling by sea, especially explorers or adventurers, the stone is also well known for its ability to turn aside mental and magical attacks. 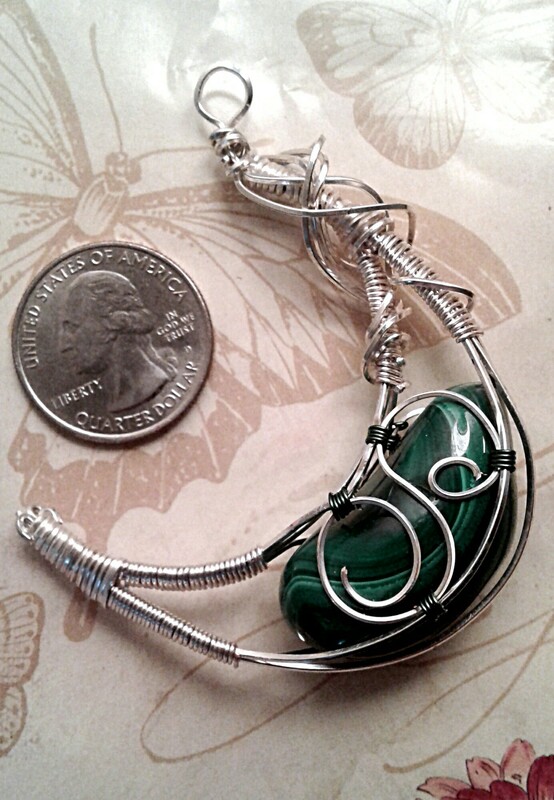 Malachite is linked with the Magickal Will and can be used in spells or meditation to strengthen that skill, as well as increasing your personal power and confidence, and that’s it’s purpose here, caged in a half-moon pendant of Sterling Silver Filled wire. Fine gauge, enameled green wire accents the links on the decorative scroll work. 3″ long X 2/1/4″ wide and, at 2 ounces, moderately heavy, but still hangs prettily from leather, chain, or beads, and can be worn Waxing or Waning.